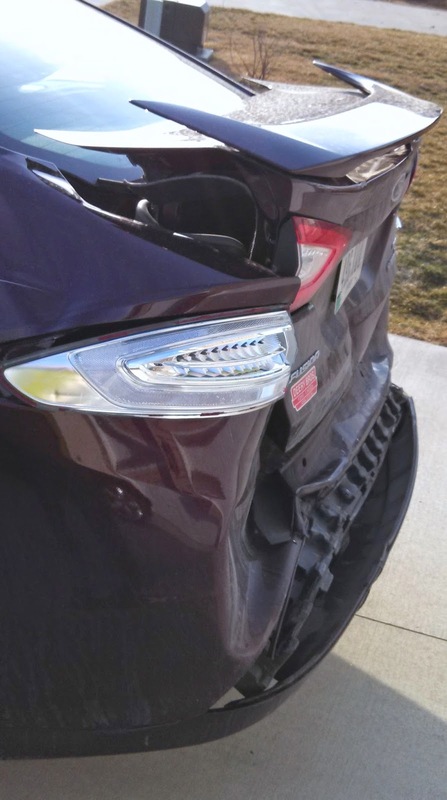 Last month, someone ran into my wife's car from behind while she was stopped at a stop sign. The accident occurred within a couple blocks of the High School. The driver of the truck that ran into her was 16 years and 11 days old. Fortunately, no one was hurt. My wife's car is a Ford Fusion. The truck that ran into it is a Chevy Silverado 2500, which is a big truck and did a lot of damage to my wife's Fusion. After the accident, a police officer arrived at the scene and took down everyone's insurance information and provided it to those involved. I was in charge of filing the claim and arranging to get my wife's car repaired. There were several surprises along the way. You Have To Pay A Deductible- Even if the Accident was Not Your Fault!? Do You Still Have To Pay The Deductible If the Accident is not Your Fault? The first surprise was that we had to pay our $1,000 deductible to get our car repaired. I was not surprised that we had a $1,000 deductible- I was surprised we had to pay it since the accident was no fault of ours at all. 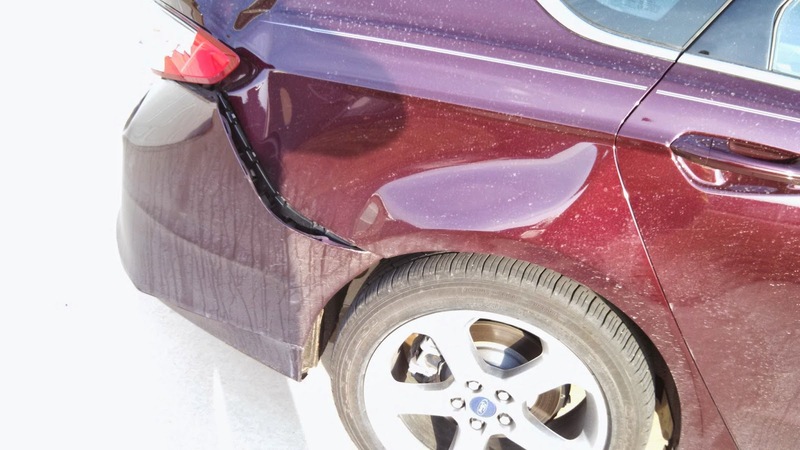 It turned out that we were able to get the deductible payed back from the other party's insurance company, but we did have to make a $1,000 payment ourselves to pick up our car from the body shop. My insurance company was able to provide contact information, including claim numbers, for the other party's insurance company to help me get paid back quickly. Am I Covered to Get a Rental Car or Not? What Would You Drive If Your Car Is In the Shop For a Month? Next surprise- the rental car coverage only covers up to $25 per day. You can't really rent a car for $25 per day- it costs more like $50, at least in my area. It turned out the the repair of the Fusion took 5 weeks. If we would have rented a car for this amount of time, our share of the bill for a rental car would have been around $1000! Good thing we had a car for my teenager that we could borrow for awhile! Do I Have to Pay for Towing Myself? Another surprise- I planned to use my AAA coverage to to the car about 15 miles from our house to the body shop. The car was driveable, but I didn't want to drive it in traffic since the brake lights were broken and the trunk wouldn't close. I made arrangements with AAA to tow the car- then they mentioned that my AAA towing coverage only covers the first 5 miles of towing! That wouldn't do me much good since the body shop was 15 miles away. I had the body shop arrange to tow my car and had it included on the repair bill so it would be covered by my insurance. After my wife's car arrived at the body shop, we got an estimate for repair. It was in the neighborhood of $15,000. My first thought was to see if I could keep the money and just have the body shop bend the trunk so it would close and repair the broken brake lights in the cheapest way possible. I called my insurance company to see if this would be an option, and they said I could take a cash settlement for the amount of damages- less the $1,000 deductible- and keep the car as is. Next, I talked with the body shop to see how much a very crude repair would cost. There were a couple snags with my plan to pocket the cash settlement. 1) The cheap repair was not actually that cheap. 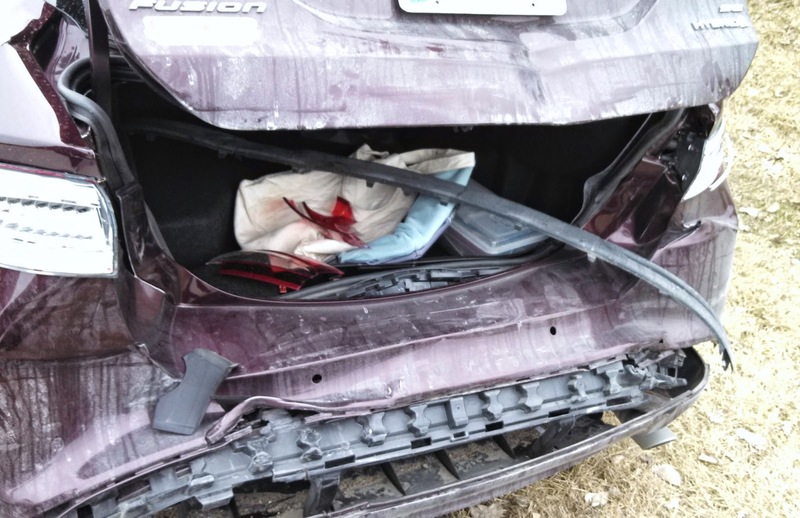 Using junk yard parts and cutting some corners, the repair estimate was still around $7,000. This was a lot less than $15,000, but the repair would not include everything. 2) Since I was making car payments and the bank had the title to the vehicle, the check would be issued to both me and the bank to co-sign. I was concerned that the bank would want to keep some of all of the insurance payment since the value of the car would be significantly reduced. I decided to go ahead with the full repair in this case. The Fusion is back and looks great. I got my deductible back, paid nothing for towing, and did not pay anything for a rental car. My insurance company also asked for the names of the passengers in the other vehicles. I only knew the driver's name and not the name of the passenger, and this was acceptable. It is hard to remember to collect all of this information right after an accident. Consider calling the police to help document the accident and make sure all information is collected before parties involved in the accident leave the scene. 1) Check the coverage limits you have for a rental car before renting one. You may have a daily limit. My coverage also had a cap on the total amount they would pay for rental car coverage per incident. If insurance would have covered a rental car, I would have used it, but it was not worth paying a significant bill since I could borrow another car. 2) Get the towing expense covered by the insurance claim. Arrange with your body shop to include the towing. Or use AAA if you have it and it will cover the towing distance required. 3) Recover the deductible if the accident was not your fault. I called the other party's insurance company and requested payment. They agreed to mail a check. 4) Make sure to get all of the information you need to file a claim while you are at the accident scene. The police can prepare an accident report and ensure that all of the information needed for insurance purposes is collected. I am careful with money, but I recently bought a third car for our household. Since cars are expensive to purchase and depreciate rapidly, why would a penny pincher like me do such a thing? My son is 15 years old and is learning to drive. Here in Iowa, teens can get an Instruction Permit that allows them to start driving with their parents in the car at the age of 14. My first thought was to simply start teaching our son to drive using one of the existing cars in our household- either my 12 year old Honda Civic, or my wife’s newer Ford Fusion Hybrid. Using a car we already own wouldn't cost anything. 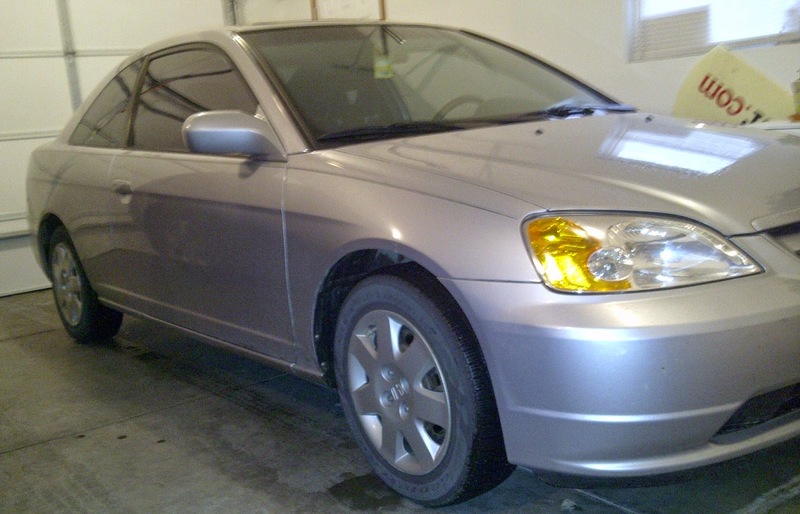 My Honda Civic is an old car and has a book value of about $2,500 according to kbb.com. I wouldn’t be too worried about this car getting a few more scratches and dents, so in some ways it would be great for training a teen driver. But my old Honda Civic has a manual transmission. Back in the early 2000’s, you could get better gas mileage driving a stick shift instead of an automatic transmission. I didn't want to start driving lessons for my son on a stick shift. For someone who is new behind the wheel, it takes plenty of concentration to be aware of your vehicle’s position on the road, scan for obstacles, and so on. Adding a clutch pedal and shifting on top handling the brake, accelerator, steering wheel, and turn signals would be a lot to handle. Not to mention the challenge of stopping on a hill in traffic the first time when learning to drive a stick shift. If you have learned to drive a stick shift, I’m sure you know what I am talking about. Since the Civic doesn't work well for teen driver training, we started a few driving lessons using my wife’s Ford Fusion hybrid. There are a couple issues with learning to drive in a newer hybrid vehicle. First, the Fusion hybrid behaves differently than a conventional vehicle. The braking on a hybrid is different than standard brakes since the regenerative brakes recharge the batteries during braking. As a result, the brake pedal responds a bit differently. I didn't want my teen to get used to this type of braking, only to switch to conventional vehicle braking later. Second, I was nervous thinking about how expensive even minor damage such as a parking lot fender bender would be for the good car. Even a minor mishap could cause thousands of dollars of damage. Reduces extra mileage and wear and tear on our “good” car. Allows our teen driver to learn to drive with the same car that he will be driving in the future. Allows the parents to pick out a good, practical car that will last long enough for our teen to drive off to college and beyond. Is Fuel Economy or Safety More Important for a Teen Car? If you are thinking about sending your 16 year old driver out into traffic alone, safety is the probably the first thing that comes to mind. I was impressed by how many safety features modern vehicles have compared to my first car- a 1974 Plymouth Valliant. Front shoulder seatbelts were state-of-the-art. Now cars come with safety features including air bags, anti-lock brakes, and traction/stability control. You can also check crash testresults for vehicles you are considering at the National Highway Transportation Safety Administration website. There are two types of reliability to consider. One is the general reliability of the vehicle you are considering- is it in good mechanical condition, or is it likely to break down on the road? It can be very expensive to tow a vehicle to a shop and have it repaired, not to mention the stress of breaking down on the road. The other reliability consideration is the historical reliability of the model you are considering. This can help you determine if expensive repairs are ahead. The big cost drivers for buying and owning a vehicle are purchase price, repair costs, insurance costs, and fuel cost. Insurance cost can make a huge difference on the cost of ownership of a car for your teen. 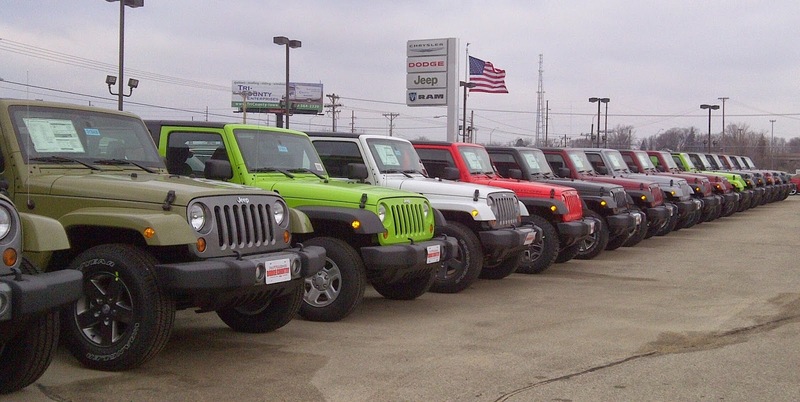 Check with your insurance agent to get an estimate for insurance cost for the makes and models you are considering. Your choice of vehicle could change your insurance cost by $1,000 per year or more! A two door coupe looks cool and sporty, but what about hauling the trombone, backpack, and little brother to school in a year or two? Thinking even further ahead, imagine what kind of car would work well for loading up with weeks’ worth of dirty laundry for a visit home from college. I put style last on the list of criteria for teen cars, but a first car is a once in a lifetime experience. This experience can be enhanced if you can involve your teen in the buying decision, looking at cars together and try to get a vehicle or features that your teen is excited about. This can also serve as an opportunity to teach your teen about money and negotiating. These lists feature newer cars in the $15,000 price range. My budget is in the under $5,000 price range in order to avoid making car payments. I had to do a bit of work to find a reliable used car in this price range. As with most smart shopping, the first step should be to set a budget. It is too easy to zero in on a car that is too expensive if you don’t set the budget up front. My budget of $5,000 was set by the amount I could spend without needing to get a car loan. 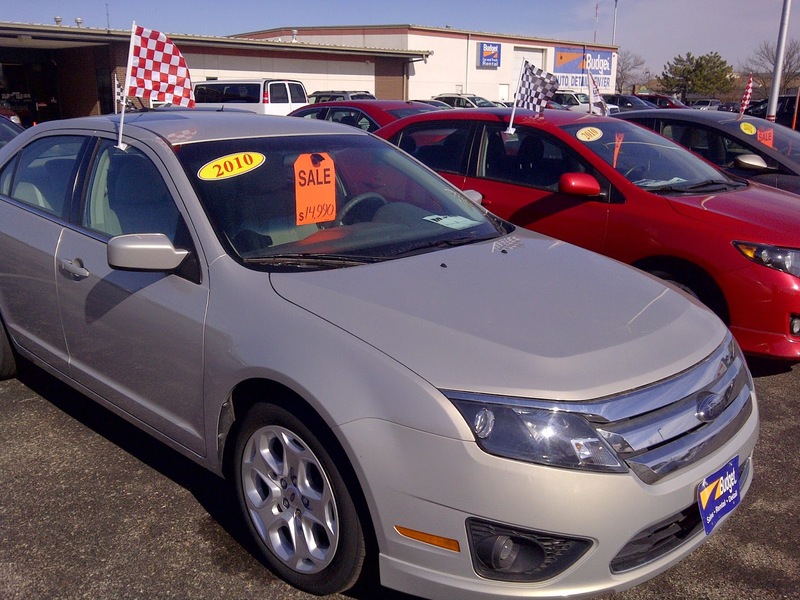 With the budget set, take some trips to car lots with your teen and see what features and styles are appealing. The goal is to select a specific make and model that you want to pursue. Next, read up on your target car’s features, options, reliability, and book price range. If you are still impressed, look at vehicle listings on craigslist and other internet sites to find promising candidates. I would recommend test driving several cars to get a feel for vehicle condition and options available in your price range. When you find the car you want, get a vehicle inspection before you make an offer. For under $50, you can take the car to a mechanic for inspection and get an estimate for any repairs that are needed. It is painful to spend money on a car that isn’t even yours, but this can save you a ton of money on unexpected repairs. The first car I had inspected had a repair estimate of $4,000 on a car priced at $3,650. Getting a vehicle inspection saved me thousands of dollars! Use your research on book price from sites like Kelly Blue Book (kbb.com) to make sure you are getting a fair price for your vehicle. You should expect to pay more at a dealer than from a private seller since dealers invest money buying and preparing vehicles for sale. Your vehicle inspection report is a great bargaining tool- I got the dealer to throw in about $1,000 of repairs and reduce the price as well. The total price of the car turned out to be $4,150 plus title and registration. So far, the experience of finding a car for my teen and starting driving lessons has been a lot of fun. I find it much less stressful driving with my teen in the older car that we picked out together instead of driving my wife’s newer car. I think my teen will benefit from a few months of practice driving the same car that he will one day drive by himself. And I have enjoyed working on some simple car projects together such as restoring the headlights and applying special car wax for black cars.